This time, things will be different. After several false starts, the CHRO was determined to move the company’s HCM system to the cloud. Her U.S. on-premise system was nearly unsupportable and, with all the recent global acquisitions, systems integration was a nonstarter. Today’s HCM cloud-based systems promise streamlined processes, more robust data and analytics, and a vastly improved user experience. Even so, the shift to a truly global platform wouldn’t be easy. The CHRO would need to revamp organizational structure, clearly map global processes, define consistent roles and responsibilities, look for new skills and capabilities, and lead a mindset shift toward greater personal accountability. Everyone would need to quickly become comfortable with the increased data transparency, structured workflows and access to their own records. The problem was, while the CHRO had the budget for a technology-enabled transformation, she didn’t have the time and wasn’t sure this effort should be delegated. Her experience told her she would need a strong change-management program. But her change-management office was new, and she had been through three directors in the past year. While the company had settled on a change-management methodology, it hadn’t yet been rolled out widely. No one on the change-management team had ever been through a project of this magnitude. The challenge was clear. While the details vary from project to project, I have yet to see an organization that doesn’t face enormous obstacles when moving to an HCM-cloud system. The paradox? HCM-cloud projects deliver easy-to-use systems, but they are highly complex and difficult to implement. HCM-cloud systems drive changes to HR service-delivery models, organizational structures, end-to-end processes, data and reporting, and governance and controls, to name a few. But please don’t be fooled by the impressive vendor demonstrations and exciting mobile applications, and don’t believe the trials you faced implementing your last HCM system have disappeared. With older systems, when you ran into a major people or process challenge, you could ask IT to configure and customize the technology. That’s no longer the case. Now you must take a hard look at your processes and ask your people to change. With HCM-cloud projects, effective change management is more critical than ever. It’s striking that the needle has moved so little since John Kotter published Leading Change: Why Transformation Efforts Fail in 1996, in which he noted that 70 percent of change initiatives are unsuccessful. Flash forward to KPMG’s 2017 HR Transformation Survey, which found that 76 percent of companies implementing a cloud-based HR system failed to achieve their expected return on investment. Have we learned nothing about change management in more than 20 years? Before throwing out the thousands of books and the tens of thousands of articles on change management produced since 1996, it’s worth considering the Project Management Institute’s 2014 report Enabling Organizational Change Through Strategic Initiatives, which found that 82 percent of companies do not consider themselves to be highly effective at managing change. This isn’t a failure of ideas; it’s a failure of execution. Managing change is harder than it appears. There are no shortcuts. You need trained, experienced change-management practitioners who understand the change-management science and are able to practice it artfully in time-sensitive, high-pressure, real-world situations. While there is no substitute for depth of experience, it’s worth sharing the lessons I have learned from several recent HCM-cloud transformations. My hope is that your change-management team may be able to relate to some of these and also find a few others that help in navigating your own projects. Engage and involve the right people. Change management does not lead change. This should be obvious, but it’s worth putting it bluntly because so many companies get this wrong: Employees don’t care what a change-management team thinks about a project. Employees want to hear from leaders. They want to know that the people they respect and look to for guidance are on board with the move to the cloud. The change-management team’s role is to figure out up front who will lead the change, how to secure their involvement throughout the project and how to equip them for success. It takes time. If you bring in a change team a few months before going live and limit their involvement to drafting communications and creating training material, you will be doing exactly what 70 percent of other companies are doing. Assign everyone involved a role. An ensemble cast of characters leading change requires clear roles and responsibilities. Executive sponsors craft a clear, compelling vision of the future. They also must commit resources, instill accountability, make the change meaningful for those impacted, drive agility, encourage innovation, manage the political dynamics and balance competing initiatives. Program team members must align executive sponsors; identify and mitigate people, risks and issues; build a coalition of “change champions”; identify and capture impacts on people; develop change-management initiatives; and monitor progress. Key stakeholders must stay informed about the project, listen to employee needs, report back to the project team, deliver change-management activities, and address risks and issues. Project specifics may vary, but assignments must be clear. Respect business complexity. Standardized end-to-end processes … Clear roles and responsibilities … Consistent employee experiences … These mark HCM-cloud systems’ promise. You have a large team assembled to deliver that vision. I have found there is a temptation for teams to focus almost exclusively on that future state, at the expense of the current landscape. In change management, we often talk about guiding people through a change journey. This is an oversimplification. What we’re really doing is identifying common stakeholder groups, understanding their starting points and guiding these groups through their many change journeys, which can be inherently unsettling, even for the most advanced professionals. More often than not, change efforts and plans are not instituted in the early stages. While there are no shortcuts to the future, an agile change-management approach can help. Build a structured, agile, sustainable change-management program. 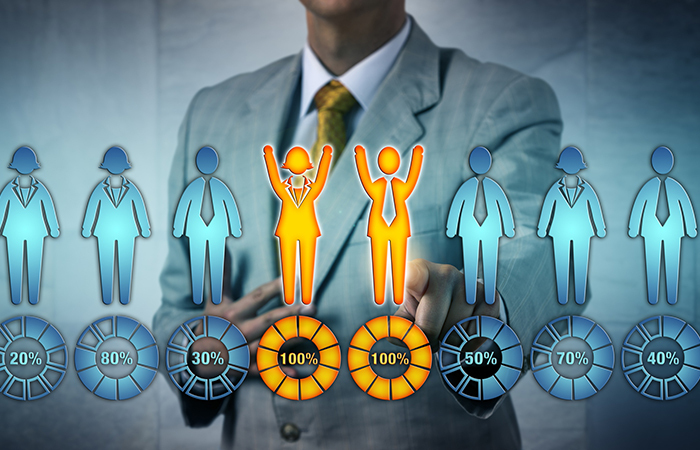 If you have a strategic change-management office, fully staffed with practitioners experienced in large transformations, a common methodology and toolkit, and widely distributed change-management capabilities among your leadership team, you are well-positioned to lead the transformation to HCM in the cloud. But, if that isn’t the case, you’re in good company. Most companies aren’t quite there, which presents the perfect opportunity to mature a change-management organization. Either way, it means striking a balance between adhering to a structured approach and staying agile enough so that you can adjust course as you go. Innovative ideas often will come from unexpected sources; you’ll benefit from listening to your stakeholders. With the pace of change accelerating across many industries, an investment in change management will support the more agile organization that is needed in today’s digital era, and this investment will pay dividends. Identify and mitigate people risks. Leo Tolstoy’s opening to Anna Karenina is surprisingly apt for HCM-cloud implementation: “All happy families are alike; each unhappy family is unhappy in its own way.” While I can offer broad guidance on risks you may face in your own projects—competing initiatives, culture challenges, skeptical stakeholders—your risks will be unique. I have found it very helpful to raise these people risks through the proper channels, just as you would raise any other project risk, and address them as a project team. I’ve found that I can drive accountability and healthy competition among stakeholders by building a few dashboards and putting them in front of the right audiences regularly. You should measure yourself: Are you equipping your stakeholders to lead the change? Measure stakeholders: Are they engaged? Also, you should measure outcomes: Are you seeing results? Invest in training. HCM-cloud systems provide a better user experience than what came before. Interfaces are simpler, more intuitive and easier to use. So why do you need to increase your training budget? The answer is that moving to the cloud asks more of your people. In years past, when you implemented your on-premise HCM system, you could customize the technology to accommodate your unique business processes. With cloud technology, it’s your business processes that will likely need to change. You now need to teach more than the technology; you need to show employees how to operate in the future—their new roles, responsibilities, processes, transactions, reports and data. You’ll want to develop a comprehensive role-based training program with an agile approach to keep up with cloud implementation’s accelerated pace. Execute, execute, execute. Change-management teams should heed Thomas Edison’s motto that genius is 2 percent inspiration and 98 percent perspiration. No matter how well-designed your change-management methodology, approach and tools are, you need skilled practitioners—experienced with transformational projects—fully committed to doing the hard work of managing change. They’ll strategize, plan and then confront the day-to-day complexity of guiding executive sponsors, project team members, stakeholders and employees through change. Even with a thorough plan, challenges will be present; ultimately, however, effective change-management strategies can give HCM-cloud systems a greater likelihood of being embraced and adopted, helping HR more effectively deliver its agenda. Arthur Higbee is a director in KPMG’s People & Change practice, where he specializes in the people side of business transformations.